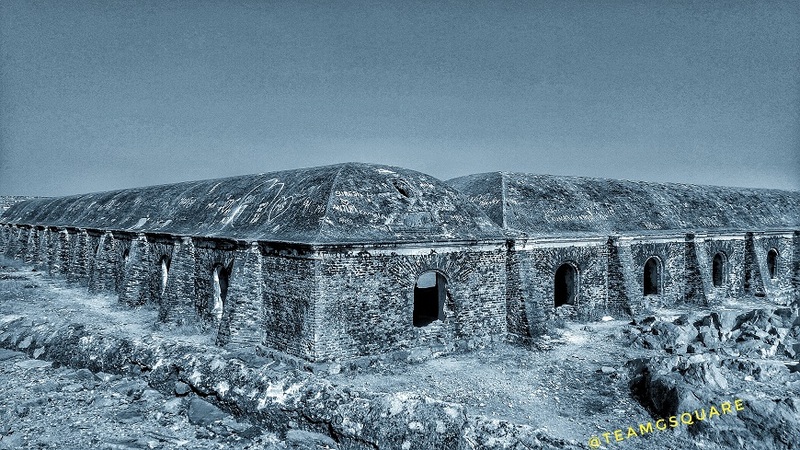 'Gooty Fort', also known as 'Gutti Fort' is considered to be one of the earliest surviving forts of Andhra Pradesh. 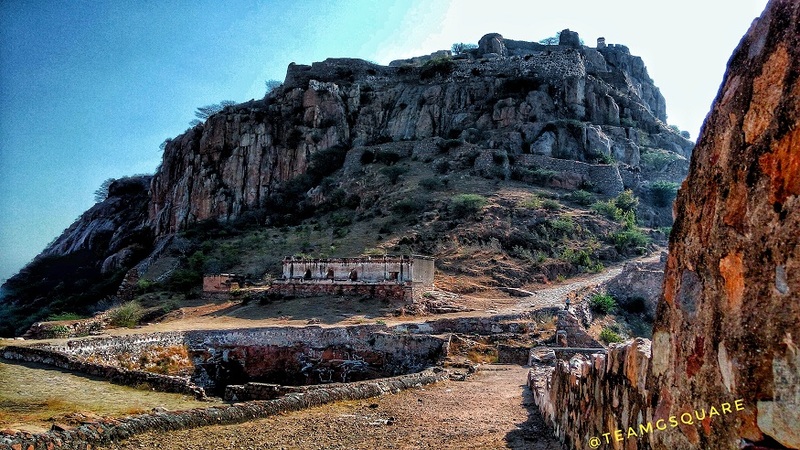 Gooty Fort was always on our list of must visit places, but never happened until last year. 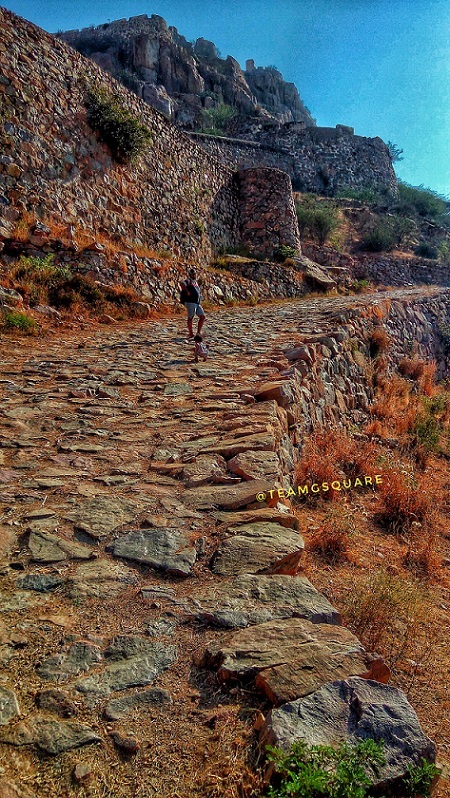 It was during our day one of road trip to Madhya Pradesh, while driving from Bangalore towards Hyderabad that we decided to stop by Gooty Fort in order to break the monotony of driving. 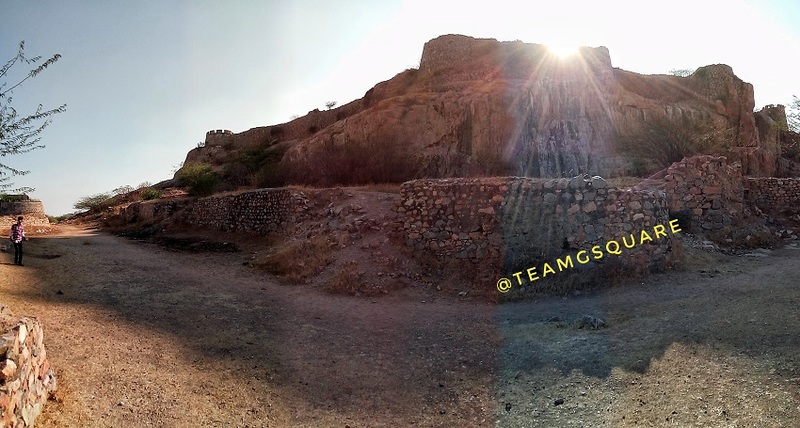 It was afternoon and the weather was quite hot to explore this fort, but we decided to go ahead with the ascent. 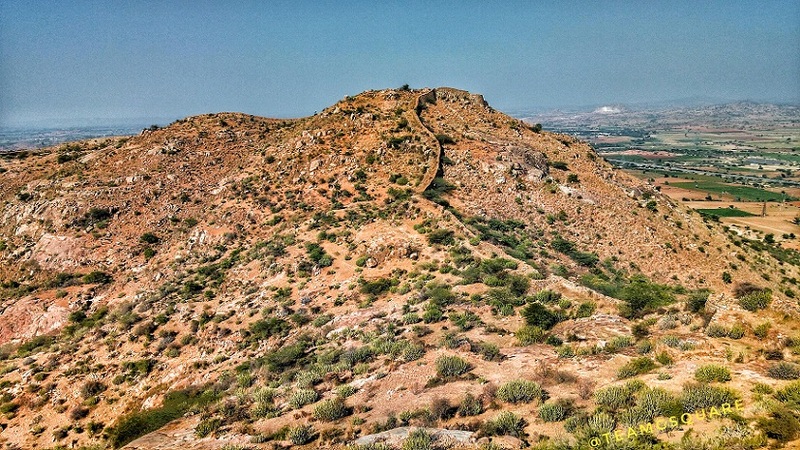 This hill fort is also known as Ravadurga and is spread across 3 hills located to the North of the current village of Gooty. History of Gooty: The earliest inscription found in Gooty can be dated to the 8th century belonging to the Badami Chalukyas dynasty. Later in 10th century, the Nolambas took over this place and built the hill fort. The Kalyani Chalukyas then strengthened this fort in the 11th century and made this a very important part of their kingdom. 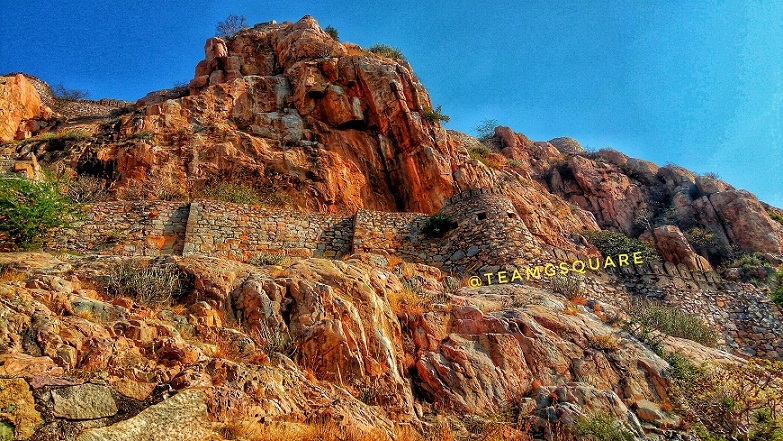 Later the Vijayanagara kings ruled here and further strengthened this fort and developed Gooty. Post the down fall of the Vijayanagara empire, it was occupied by Qutb Shahi of Golconda. Subsequently, the Marathas under Murari Rao captured it after which it fell into the hands of Hyder Ali, until finally being captured by the British post the death of Tippu Sultan. 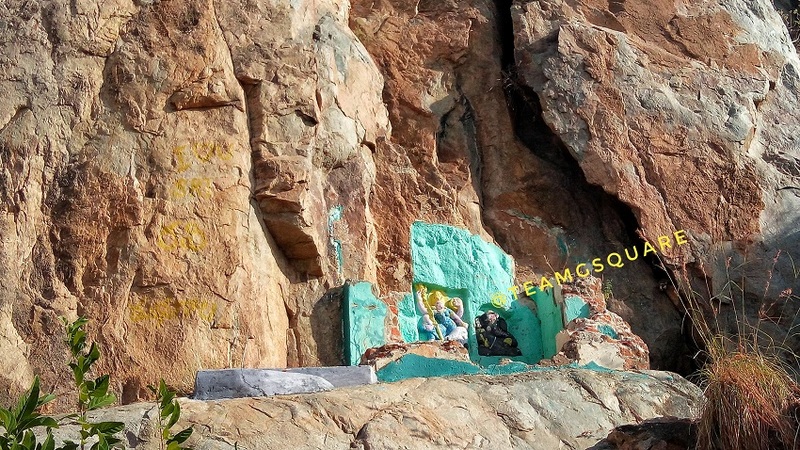 There are 16 Kannada inscriptions found in Gooty/Gutti, of which the earliest one belongs to the Badami Chalukyas dating back to the 8th century AD. This inscription is a dual language inscription with a mix of sanskrit and kannada. It mentions of 'Srivallabha Yuvaraja', probably the king during whose reign the images of Goddess Mahishasura Mardini and Lord Ganesha were carved. 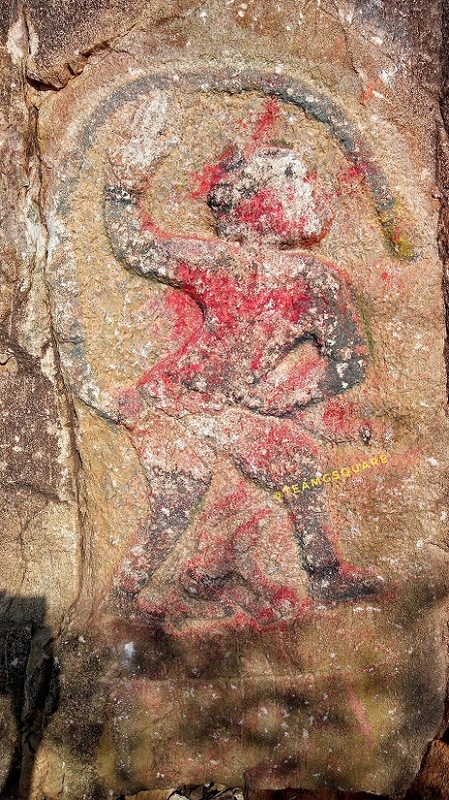 The second kannada inscription found here belongs to the Nolamba dynasty and can be dated to the 10th century. 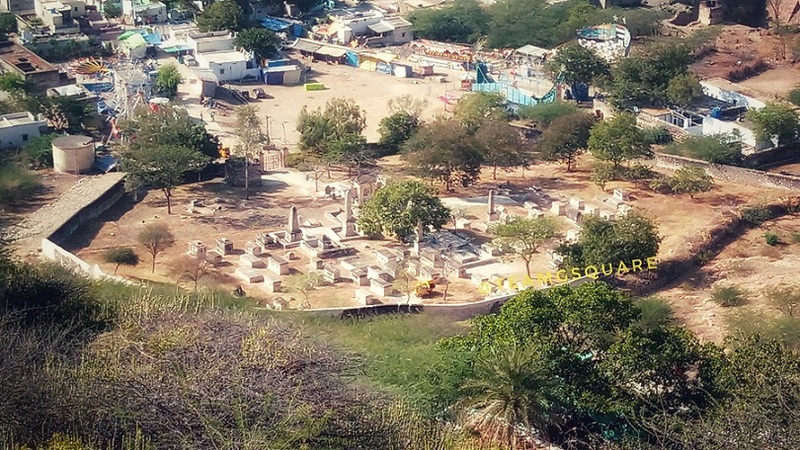 It mentions of king Dandanayaka Chavundamayya and the construction of Lord Narasimha, Rameshwara and Bhagavatidevi temples here. 10 out of the 16 Kannada inscriptions found here belong to the Kalyana Chalukyas falling between 11 -13th centuries. 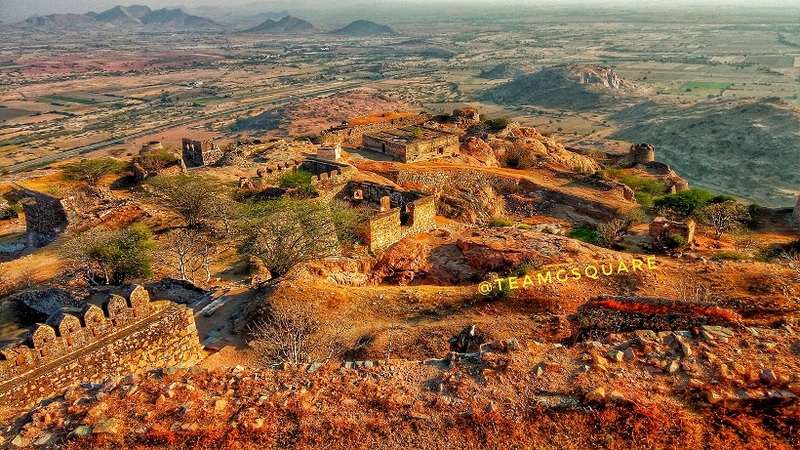 Nine of them mention about the various grants given by king Tribhuvanamalladeva (Vikramaditya VI) towards development of Gooty fort and temples here. 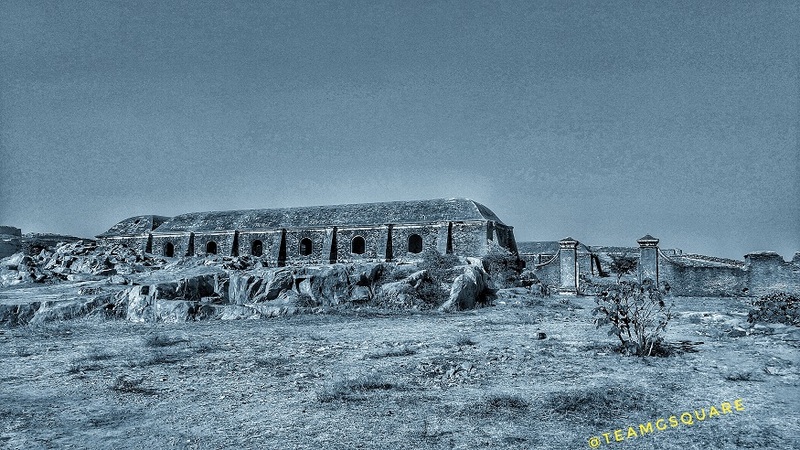 Thus making this fort one of the earliest forts in Andhra Pradesh. The current structure standing here is an improvised form built by the Vijayanagara kings with later modifications by the Marathas, British and Hyder Ali. 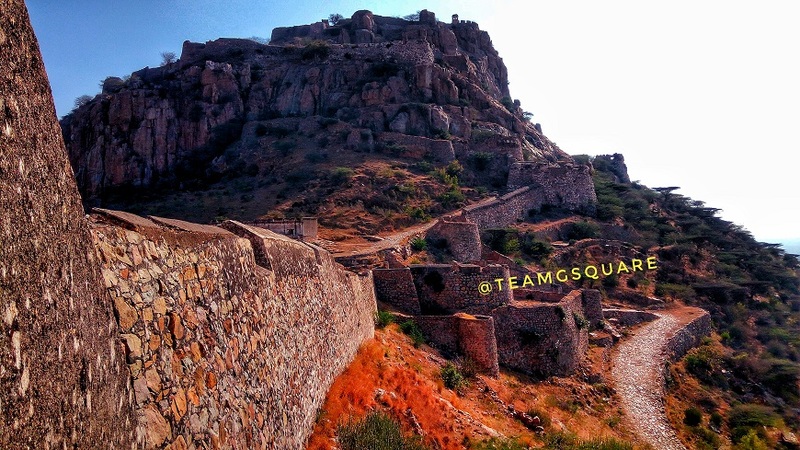 We had to travel through a few narrow lanes of Gooty to reach the fort area. Many people had gathered as a part of a local fair that was being held, creating chaos with regards to parking. After finding a safe place to park our vehicle, we moved ahead towards the hill base where we were welcomed by the British Cemetery of administrator Thomas Munro who died of Cholera and was buried here. To the right of the cemetery is the path to reach the top of this hill fort. After a short climb we reached a darga, probably built during the rule of Hyder Ali. 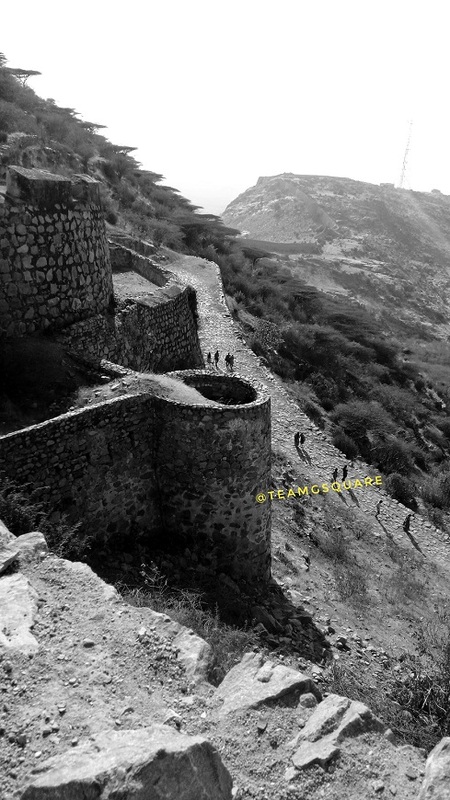 We continued climbing further and as we entered the third gateway, we found remains of British colony with many structures. There were a few structures outside this colony, most of which were in ruins. 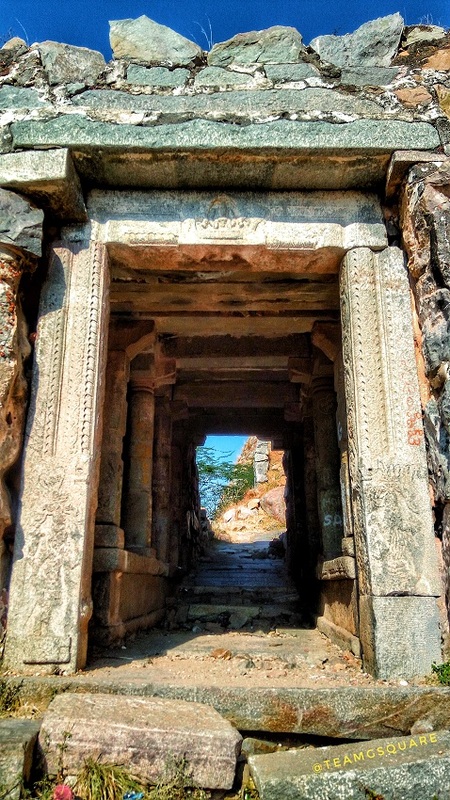 The fourth gateway carries a depiction of Goddess Gajalakshmi on the center of its lintel. 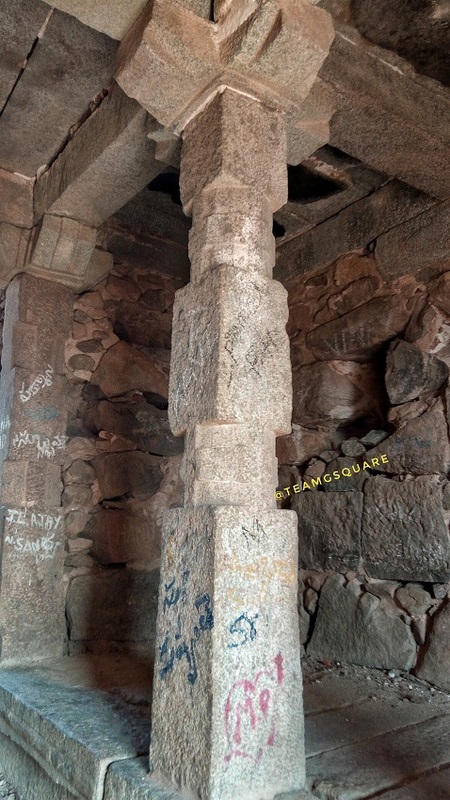 The pillars here are a typical of Vijayanagara style of architecture. Sadly most of the carvings on them have been vandalized. The next gateway is quite simple and seems to have been built in an Indo-Islamic style of architecture. Close to the 6th gateway is a small temple which sadly looks damaged or destroyed post its reconstruction. The temple has the carvings of Goddess Mahishasura Maradhini and Lord Vinayaka, and can be dated to 8th century based on the inscriptions. 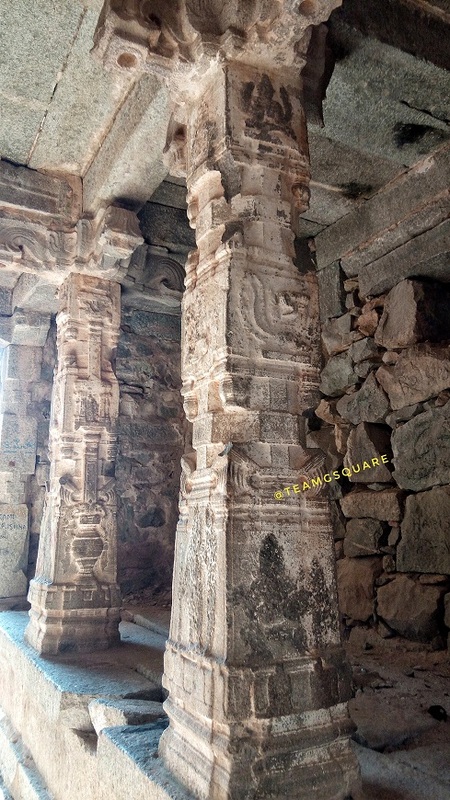 The pillars of the 6th gateway seem to belong to the Kalyana Chalukyas/Nolamba period. A little further from here is a beautiful carving of Lord Anjaneya belonging to the same period. Hereon we entered the 7th gateway and found many ruins, mostly related to the Royal family. 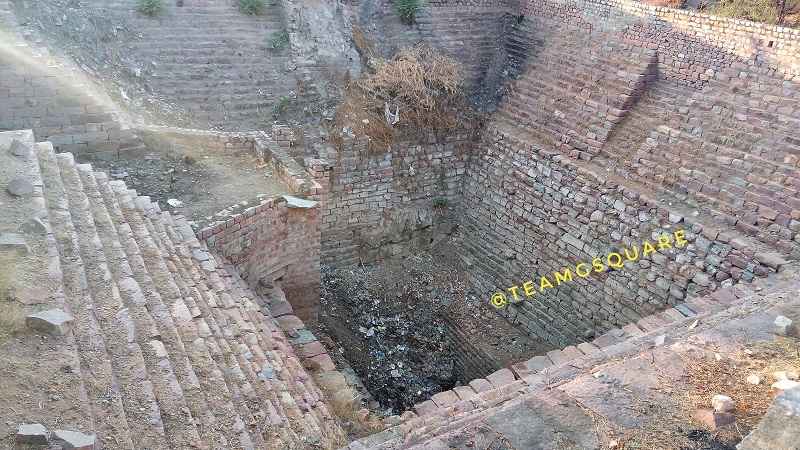 There are many wells inside the fort that served as sources of water which today are in a state of sheer neglect. 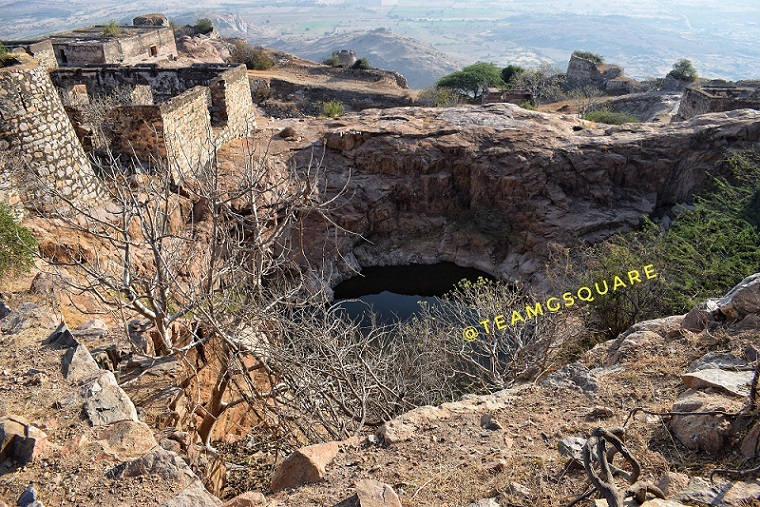 There is a place known as Murari Rao's Seat, where the Maratha King sat in a swing with his queen and enjoyed watching the panoramic views of Gooty. 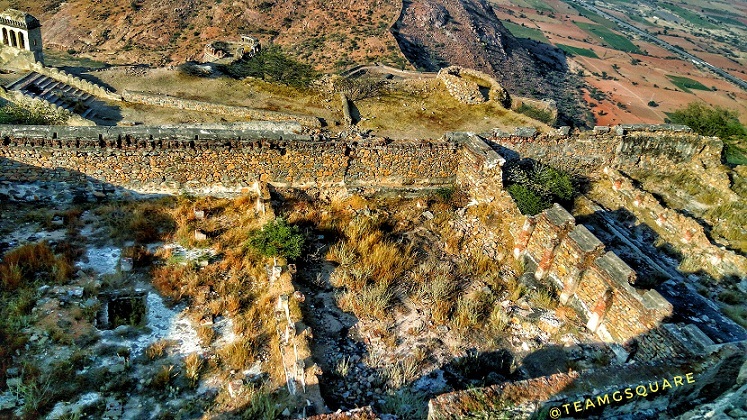 From atop the hill fort, one can have a clear view of fortifications spread across various hills. Overall, this fort is in a fairly good shape with much of its fortification intact, though in need of minor restoration work. 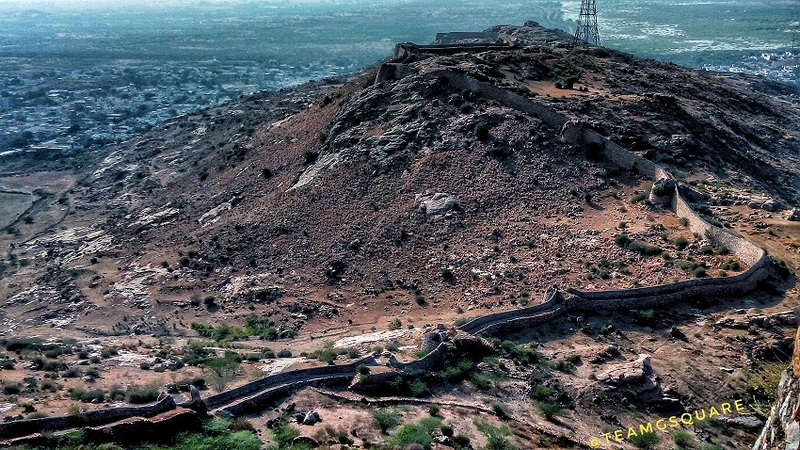 The wonderful Gooty fort has a great potential of becoming a prospective tourist spot of Ananthapur, with the only flip side being its very hot weather throughout the year. Winter mornings would be ideal to climb this hill. 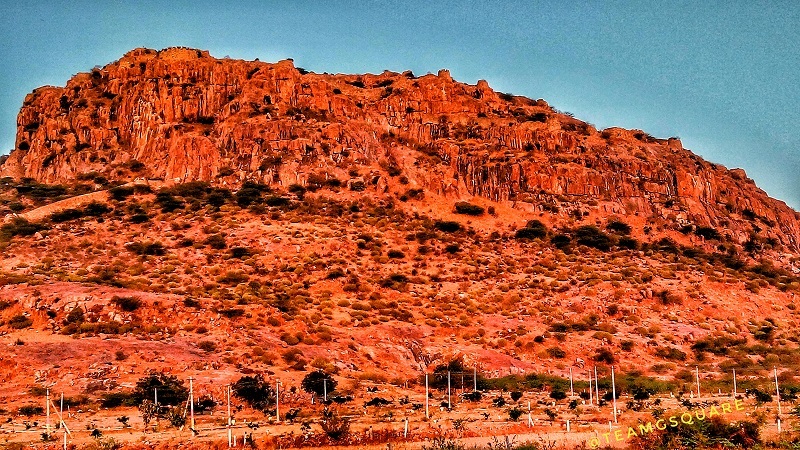 How to reach Gooty: Gooty town is located off AH44 that connects Bangalore to Hyderabad. It is about 275 km from Bangalore and 300 km from Hyderabad. Places to Visit Around: Guntkal, Bellary, Tadpatri, Madakashira, Lepakshi, Belum Caves, Yaganti, Gandikota, Alampura, Gudibande, Ratnagiri, Rayadurga, Kalyandurga and many such. Lovely coverage of Gooty fort. Glad to know in detail about this. 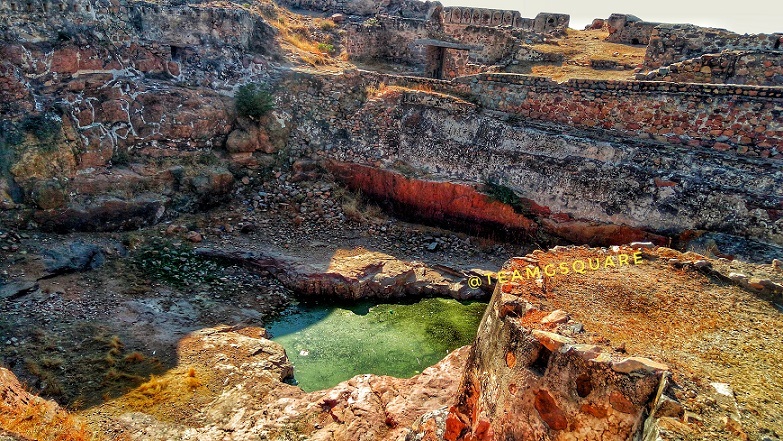 Amazing fort, Great to read abot Gutti Fort. Awesome photos.